The Bombay Times printed this review of our show. Numerous celebrities were in the audience. An amazing experience - 10,000 miles in 4 days for one concert! 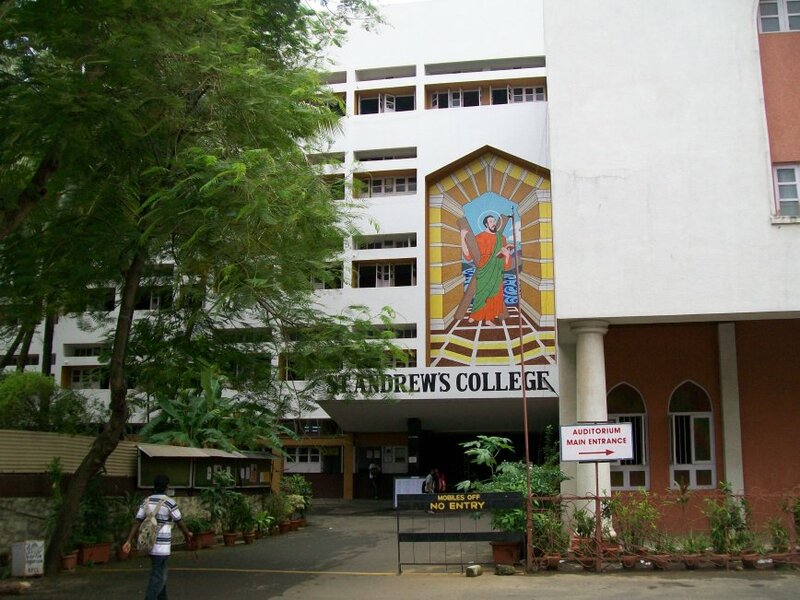 St Andrews College, Bandra, Mumbai. We played a sell-out show in their lovely auditorium. 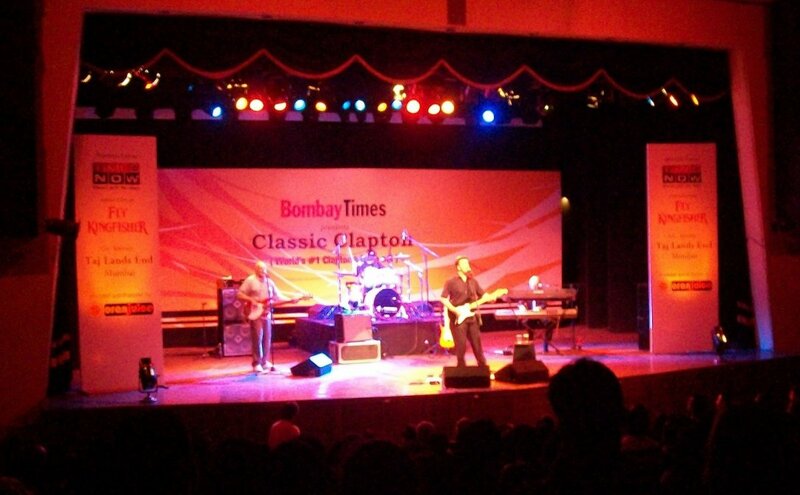 CLASSIC CLAPTON Live on stage in Mumbai. 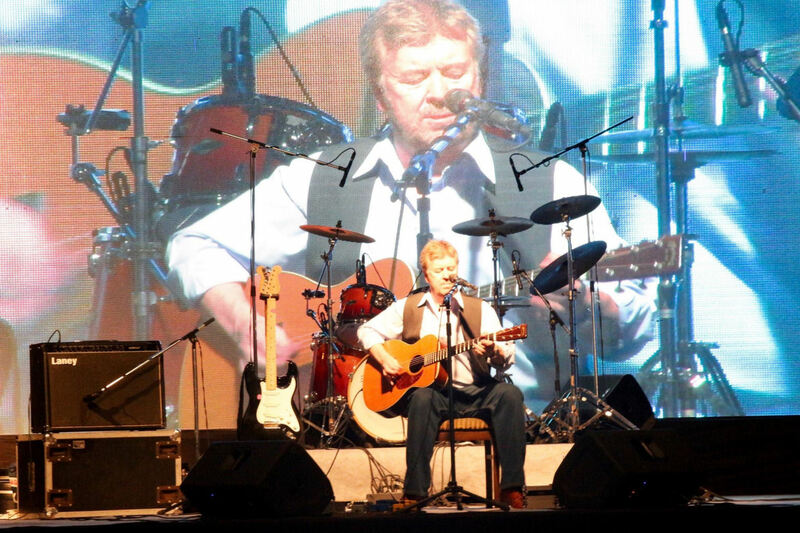 Unplugged set at St Andrews Auditorium. 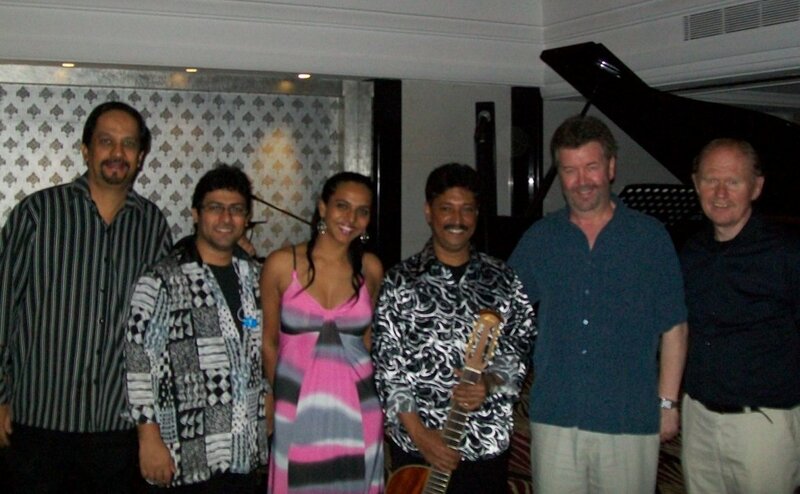 The resident band at Taj Lands End Hotel are called "Acoustica". They are a great band and also charming people. Mike, Paul & John had great fun jamming with them. 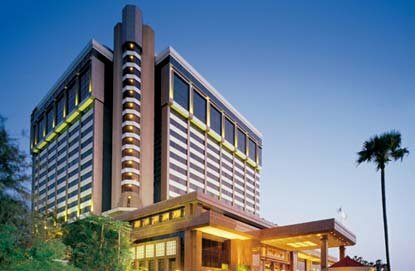 The amazing Taj Lands End Hotel where we stayed in Mumbai. 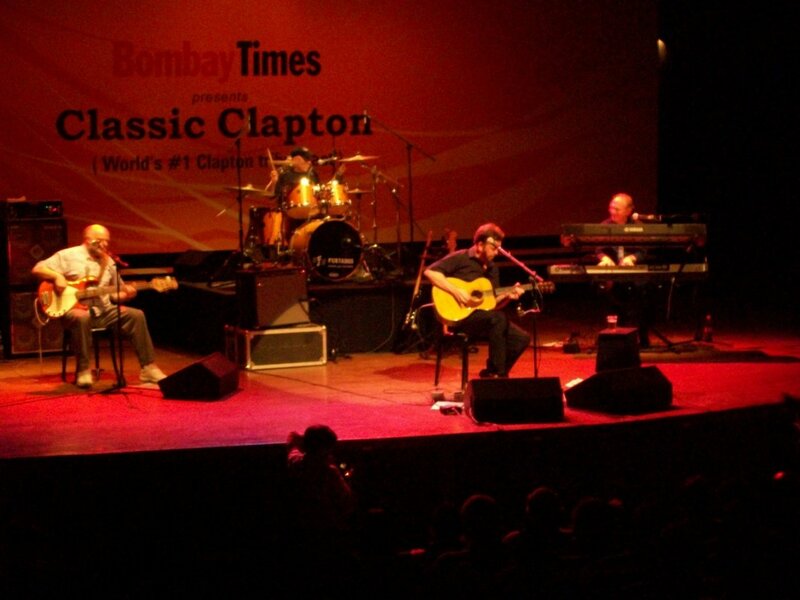 Our 2009 concert in MUMBAI was a fantastic experience. We were honoured to be invited back for 3 more shows in 2016. 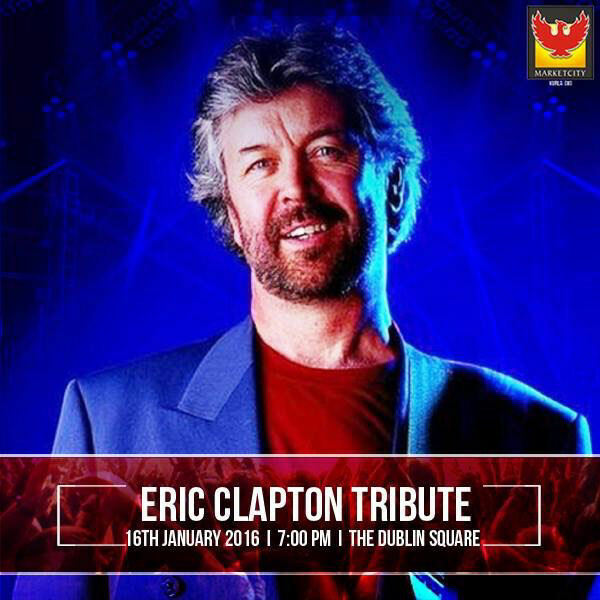 A different line-up of Classic Clapton visited India in 2016. Only Mike & Paul remain from the 2009 concert. This time they were joined by Danny, Dave and guitar-tech Adam. 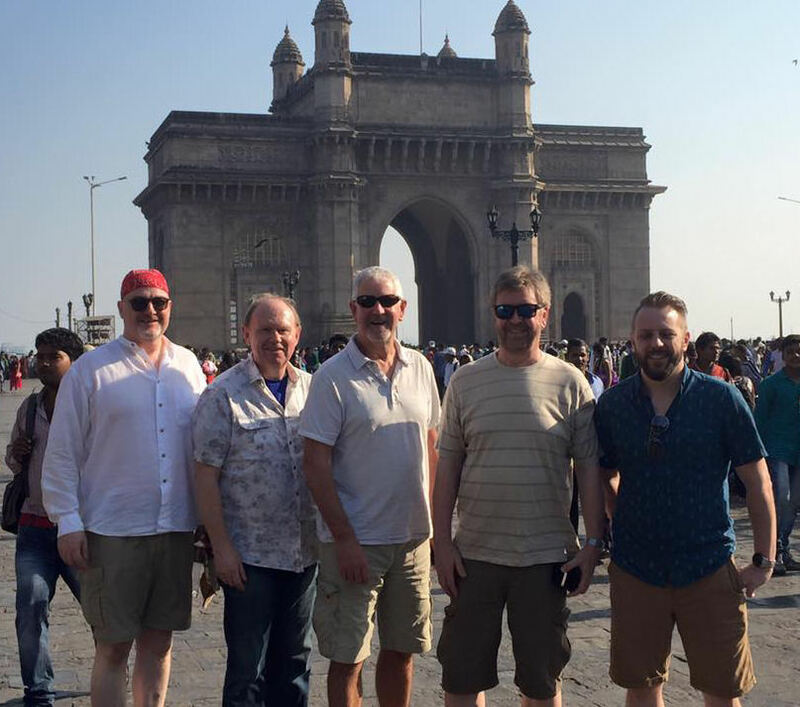 Here they are in front of the fabulous Gateway of India in Mumbai. 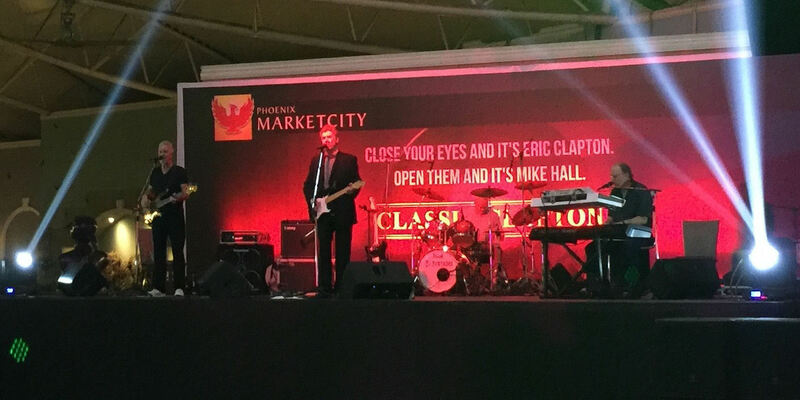 Our first concert of the tour was at Phoenix Market City which is a large modern shopping mall in the city of Pune, approx 4 hours drive from Mumbai. 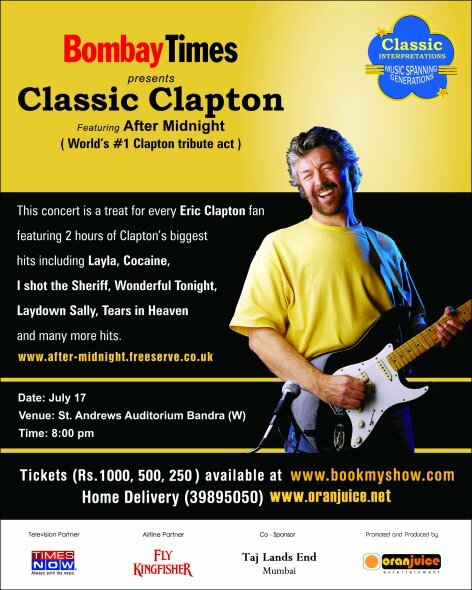 This was one of the posters for our second show which was at Phoenix Market City in Mumbai. 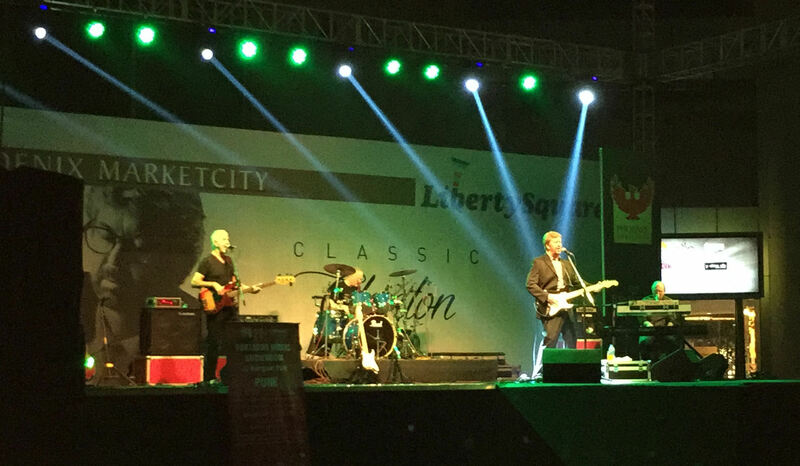 Our second concert was at Phoenix Market City Mumbai. It was slightly low-key, but was a great warm-up for the main event the following night. This was another poster for our second show. The Indians certainly know how to advertise a show. 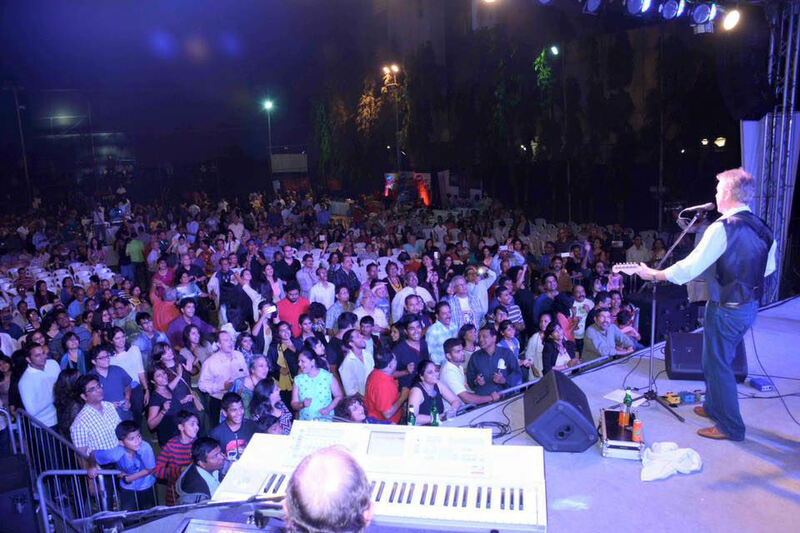 Our third concert was in front of 3500 people at Willingdon Catholic Gymkhana, Mumbai. This is a large open air sports arena. The audience were really warm & enthusiastic. It was one of the best gigs of our 30 year career. There was a huge video screen on the stage behind us. 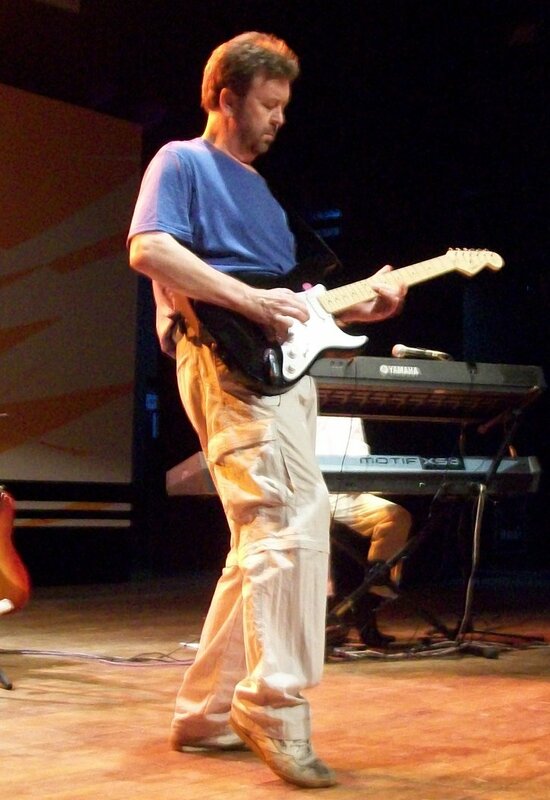 It was another amazing experience in the history of Classic Clapton.